For the official story of 9/11 to be true, numerous physically impossible things would need to have taken place that day. 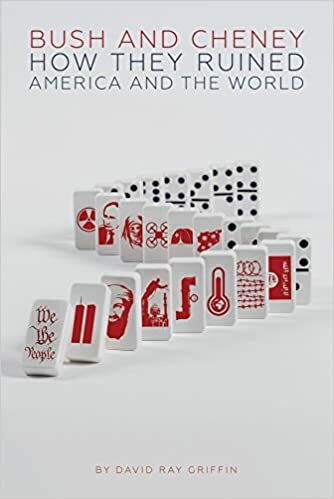 This is the case made by prolific 9/11 researcher David Ray Griffin in his latest book, Bush and Cheney: How They Ruined America and the World. It is the twelfth Griffin-penned volume that takes on the official government claims of what happened—and did not happen—on 9/11. It also marks his return to the subject for the first time since 2011’s 9/11 Ten Years Later: How State Crimes Against Democracy Succeed. 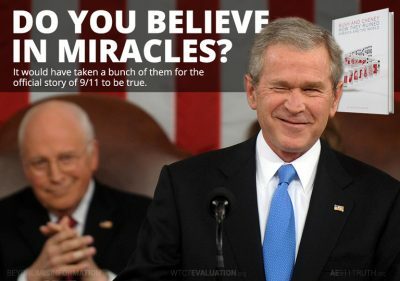 While the first part of Bush and Cheney focuses on the broader issues suggested by the title (including the Iraq and Afghanistan wars, the proliferation of Islamophobia, the shredding of the US Constitution, and the advent of drone warfare) the second part is devoted to Griffin’s detailed research into evidence that contradicts the official story of 9/11. 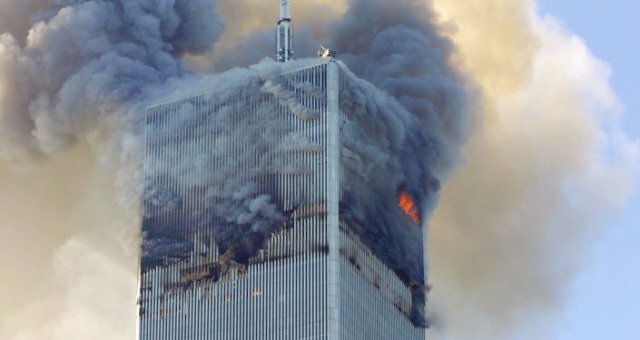 “Given the fact that a steel-framed high-rise building has never come down without the use of explosives, those who claim this happened on 9/11 should provide some evidence that such an event would even be possible. There could be no historical evidence, of course, because such a collapse would be unprecedented” (p. 249). How many times have we heard defenders of the official story tell us that it wasn’t necessary for the steel to melt, it just had to weaken? (Of course, this line of argument ignores the fact that dozens of eyewitnesses observed molten metal in the debris.) But, according to Hamilton, a man who should know, a fire ignited by jet fuel and fed by burning office furnishings was sufficiently hot to melt steel and bring the towers down in 56 minutes (South Tower) and one hour and 42 minutes (North Tower), respectively. “By that day [September 12th], however, there were no more TV reports about explosions, and by the next day, September 13, there were no more such newspaper stories. Thanks to this cooperation by the media, the 9/11 Commission and NIST could ignore the reports of explosions and any talk about planned explosions” (p. 258). This is contradicted by NIST’s Shyam Sunder, who said that no effort was ever made to test for the presence of explosive residues in the WTC dust. “The official account implies, therefore, that a very asymmetrical pattern of fires produced an entirely symmetrical collapse. If that would not be a genuine miracle, what would be?” (p. 266).